We are delighted to be working with the iconic Bonhams London to Brighton Veteran Car Run, supported by Hiscox as their official charity partner. The partnership is underpinned by one common goal: to give more life to our fathers, sons, brothers and friends. Funds raised by the Veteran Car Run will tackle some of the biggest health issues faced by men: prostate cancer, testicular cancer, and mental health and suicide prevention. Peter Reid, Chairman of The Royal Automobile Club’s Motoring Committee said “It’s a charity that is close to all of our hearts and we are proud to be spreading the Movember message and making a difference. By its very nature, the Veteran Car Run appeals to males of all ages and its time-honoured date in early November presents the ideal opportunity to unite with the Movember Foundation to raise awareness and vital funds. This a terrific partnership to inspire donations, conversations and real change. This Movember we will see the Veteran Car Run community from all over the world join together to help stop men dying too young. We are calling on all entrants, passengers, marshals, support crews, followers, visitors, friends or family members to join the movement for men’s health. 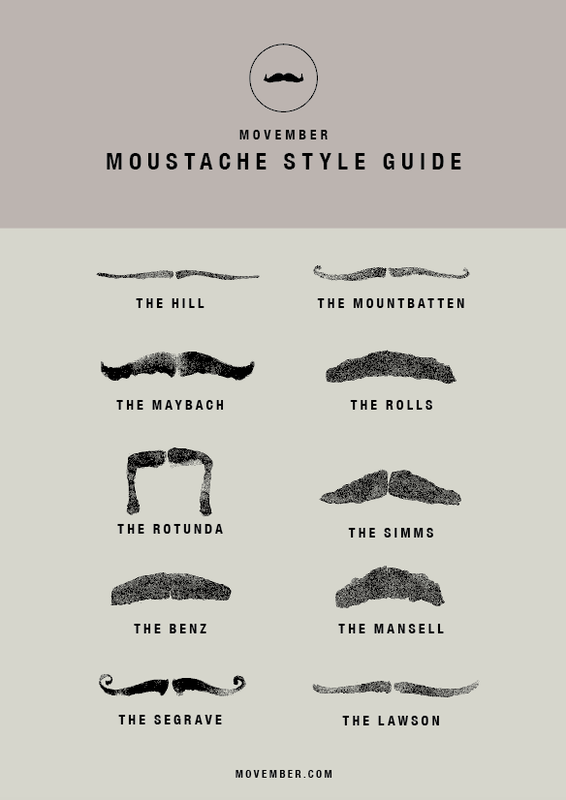 Whether you choose to grow a Mountbatton or a Mansell, more than just follicles on your face, your Mo is a ribbon – reminding the people in your life of the importance of men’s health. And if Mo growing isn’t for you, that’s no problem. Host a fundraising event. Tick something off your bucket list and get sponsored. Get creative – there are no limits to how you can get your community involved in Movember and men’s health. We’ll help set you up to the Veteran Car Run fundraising challenge, give you some swag, and do all the hairy work for you. There are also incredible prizes on offer, including money can’t buy limited edition merchandise and the opportunity to take part in the coveted tearing of the flag ceremony. Even the vehicles can get involved with a limited edition Carstache available to buy on the Veteran Car Run website. The funds raised by the Veteran Car Run will go towards tackling some of the biggest health issues faced by men. Prostate cancer is the second most common cancer in men, with one man losing his life every 45 minutes in the UK. Rates are on the rise and we are dedicated to reducing the number of men facing serious ongoing side effects from prostate cancer treatment. The valuable funds raised by the Veteran Car Run community will be invested in our global prostate cancer programmes such as True NTH, our revolutionary new care intervention programme that will help men living with prostate cancer. Sign up and join the Veteran Car Run community.